Trim and Windows in Aspen White color form Classic Color Collection; Market Square on Double 4" profile - in Greystone color from Classic Color Collection. 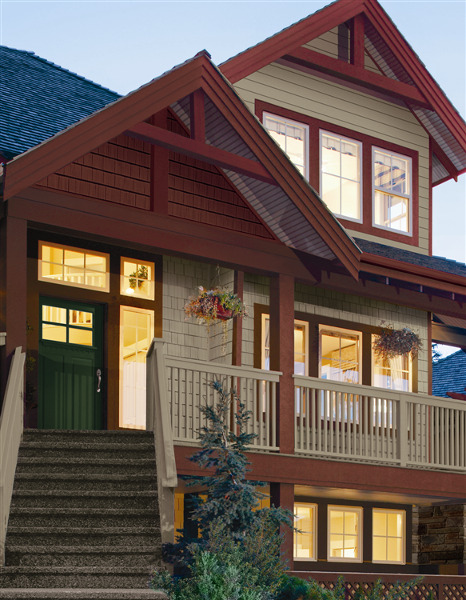 Trim and Windows in Cabin color from Coastal Shores Collection; Premium Pointe 360 in Double 4" profile - in Country Beige color from Classic Color Collection. Trim and Windows in Lighthouse Red from Coastal Shores Collection; Premium Pointe 360 in Double 4" profile - in Country Beige color from Classic Color Collection. 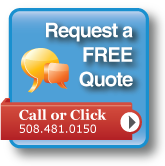 Trim and Windows in Clay color from Classic Color Collection; Portsmouth Shake� Staggered Shake also in Clay color. 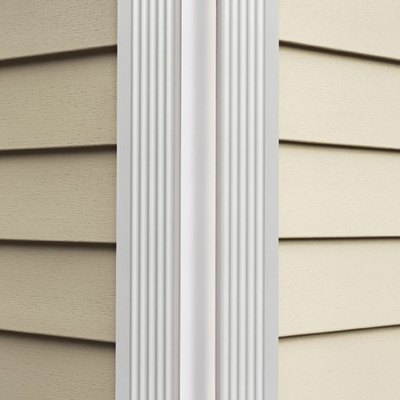 Trim and Windows in Pearl color from Classic Color Collection; Portsmouth Shake Hand-Split Shake in Pearl color; CraneBoard Board and Batten in Cypress color and CraneBoard 6 in Rye color. To complete the look, give your home a polished, yet handcrafted appearance. 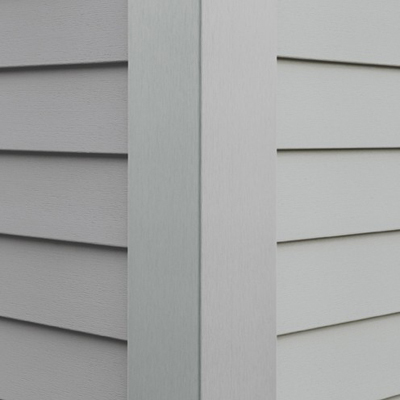 Whether you’re creating clean contrast or matching harmony, Architectural Essentials™ has three accent categories of trim products to give you distinctive detail – Window & Door Trim, Corners, and Decorative Trim. The Architectural Essentials™ Accessories collection provides you with a wide selection of accents, from a decorative three-piece corner post system to stately crown molding and a broad Band Board. All are engineered to fit smoothly with any design style you choose from Exterior Portfolio®. Each of the accessories below come in different color options, so please confirm our representative which colors are available for the products of your choice. These extraordinary accents do much more than keep the wind from seeping in around doors and windows. Made to match or provide striking contrast, Architectural Essentials™ Window & Door Trim provide both beautiful focus and decorative accent while allowing for more design possibilities.